I have been teaching children from many different cultures for the past thirty years in an inner city public school setting. 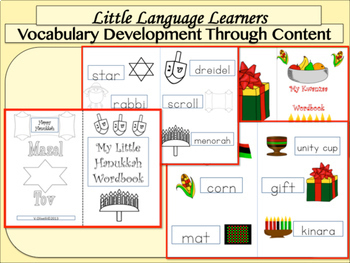 I have developed this thematic unit called Season of Light to teach about cultural differences and the commonality of practices (gifts, candles, music.) that tie us all together. 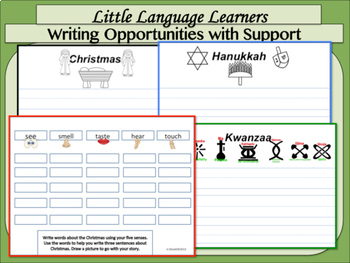 The month of December’s various holidays are the perfect vehicle to teach cultural awareness. The public school teacher has the opportunity to foster awareness, tolerance and appreciation of the diverse cultures that make up the dynamic of our society. Teachers have the power to create an intelligent and cooperative society. There are over 180(360 total with black and white versions.) beautifully designed slides in this unit. This unit is aligned with CCSS and WIDA. 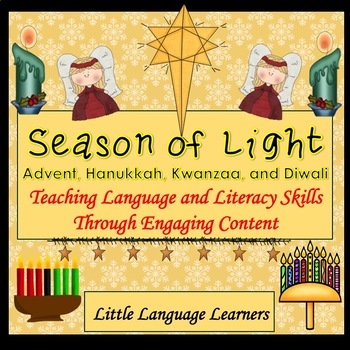 Enjoy teaching this beautiful thematic unit of December’s Season of Light, as you illuminate your student’s cultural awareness of the society in which they live! Check out the preview to see some examples that reflect the detailed design of this thematic unit. Lesson plan suggestions and ideas are provided. Scaffold writing techniques and strategies are also provided. CCSS and WIDA standards are given in detail. 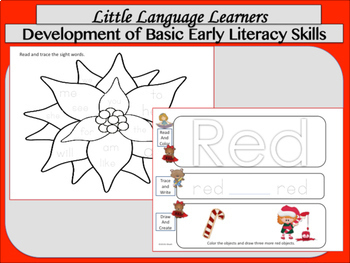 Writing Templates, art projects, concept poems/activities, traditional holiday recipes, math and DIBEL practice are all found in this unit -plus much more.. This is thirty years of beautiful creations. Too much to list. You will be very satisfied with this product. You will use it for many years. Good teaching does not go out of style.